This recipe for Mofongo & Fried Pork Chops was submitted by Amber from Parent Palace in the Main Dish Category in the zuuzs Grand Spring Recipe Challenge! VOTE for this recipe here. 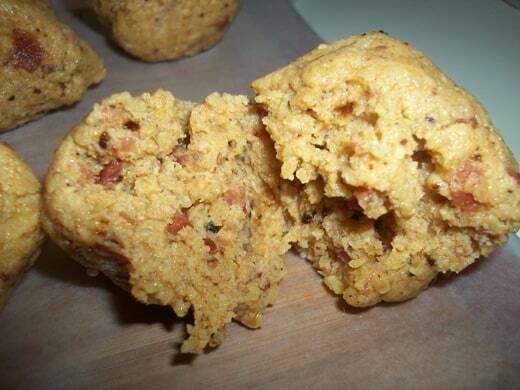 Serve with a rice/veggie mix and you have a delicious Puerto Rican feast! Peel the plantains and slice into pieces/chips. Fry in vegetable oil until golden making sure they don’t get brown. Drain on paper towels. Cook the bacon until very crispy. Add minced garlic to the pan with 1 tbsp. of olive oil and saute briefly not letting the garlic burn. Allow the bacon/garlic mixture to cool for a bit and add to a food processor with the cooked plantains (if you have a mortar/pestle, you can use this to mash instead.) Pulse on a low setting until the mixture comes to a bread-like consistency; be careful not to over blend as you don’t want to liquify the mixture. Dump the mixture out into a bowl and form into balls. You can do multiple little balls or a few big balls. This is enough to make 2 large Mofongo balls or 8 smaller balls. 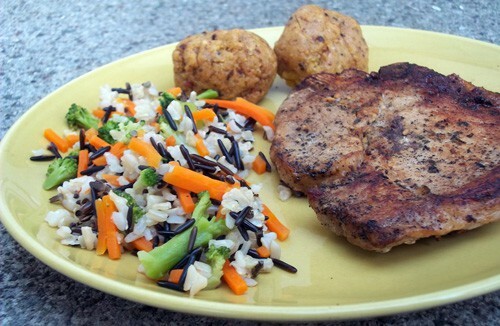 For the pork chops, I make my own Adobo and it’s really simple. I don’t measure out the ingredients, instead I eyeball it. To make your own, mix together garlic powder, onion powder, oregano, cilantro, salt and black pepper. You can also buy a premade Adobo if you’re not comfortable making it. Add vegetable oil to a frying pan and heat up. Fill a shallow dish with Worcestershire sauce. 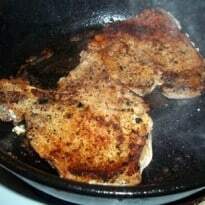 Moisten a pork chop on both sides with the sauce and use the Adobo to apply a dry rub all over. 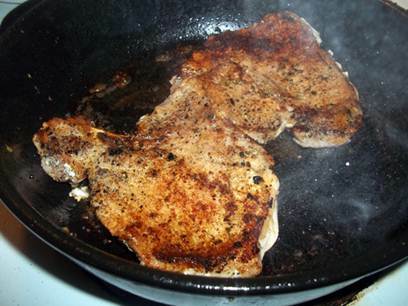 Add the pork chops to a heated pan and fry 8-10 minutes flip and repeat. Drain on paper towels until grease is absorbed.